After a long day at Universal Studios, the best way to end the day is by chilling out at one of the hotels at Resort World Sentosa. Hard Rock Hotel at Resorts World Singapore, a 5-star hotel, is beautifully decorated with memorabilia from various stars around the world. There is even a large swimming pool with an artificial beach – besides suntanning, you can also keep yourself occupied with the volleyball pitch just beside the pool. The Deluxe Room was large with king-sized bed and a LCD TV with excellent audio sound system. There is also a couch by the window with a view of the Sentosa shore. Unfortunately, as of now, there is still a lot of constructions going on so there isn’t much of a view. 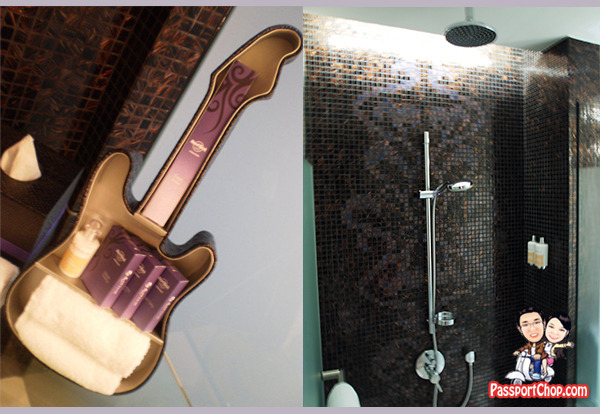 How can a Hard Rock-themed hotel be without the ubiquitous guitar – the toiletries are packaged into nice boxes and contained within a guitar-shaped box. The rainforest-style shower head where the shower is directly overhead has a good strong water pressure, providing for a very comfortable shower experience. What a wonderful blog. I invest several hours on the web reading through blogs, about tons of various subjects. I have to to begin with give kudos to whoever produced your theme and second of all to you for writing what i can only describe as an post. I honestly think there is a skill to writing articles that only a few posses and frankly you have it. The combination of informative and high quality content is definitely very rare with the big quantity of blogs on the internet. Thanks for this review on Hard Rock Hotel! I am currently doing a research project for my study for Customer Equity Management, and would like you to help with a short survey on Hard Rock Hotel Singapore. Please rest assured that this is solely for academic purposes. Thanks for the great review of Hard Rock hotel. wow!! looks very exotic, locking 4ward to visit there on my vacations……:-) lot of exciting things to do there…. 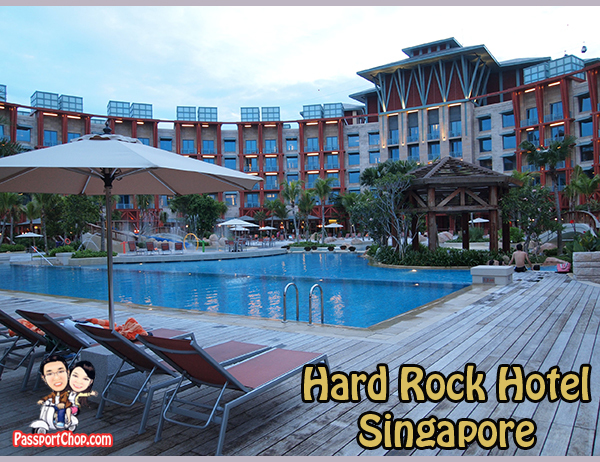 Hard Rock hotel is really luxury hotel in Resorts World Singapore. The combination of a luzury hotel and resort is a great idea for vacationists.. You can enjoy different amenities plus the lovely ambience that is truly a haven..
WOw..nice luxury hotel ha!! I like this kind of article..
After a long hours of work this is the perfect place to relax a 5 star hotel that suits your exhausted body.great blog I wanna see for myself how beautiful this hotel is! Hey wow amazing hotel in Singapore. Thanks for sharing a great information about Hotels in Singapore, I will also share this to my friends. Thanks for providing the information related to Hotel, Because I love traveling and different kinds of Hotels. I’ve been exploring for a little bit for any high-quality articles or blog posts in this sort of space . Exploring in Yahoo I at last stumbled upon this web site. Studying this information So i’m satisfied to show that I have an incredibly good uncanny feeling I came upon just what I needed. I so much unquestionably will make sure to do not overlook this site and give it a glance regularly.